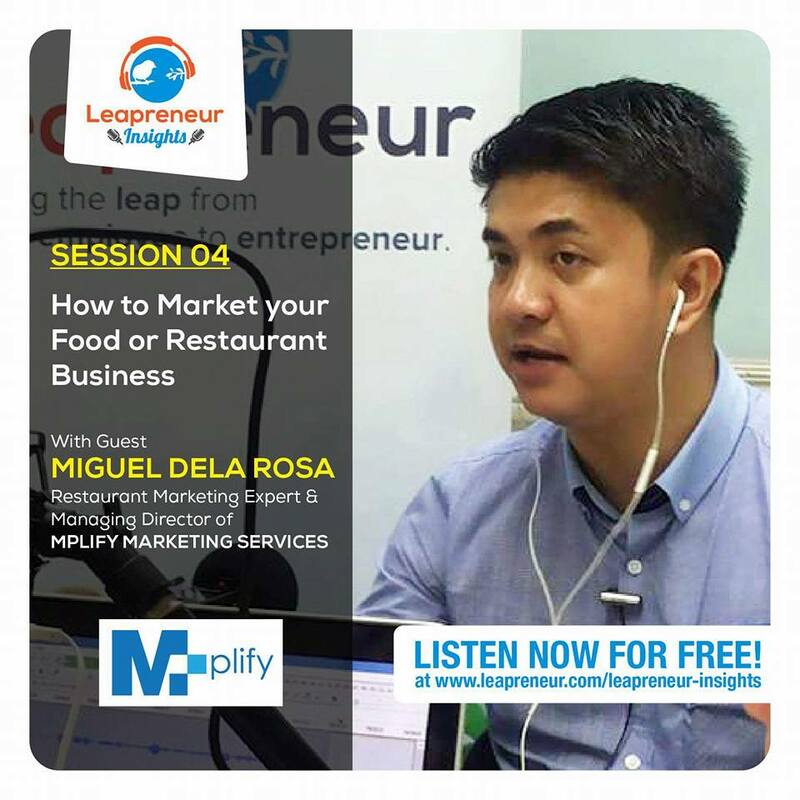 MPLIFY strategic partner Leapreneur featured our Managing Director, Miguel De la Rosa through its learning session for start-up and new entrepreneur, a leap from employee to entrepreneur. Be inspired! Want to make your restaurant business a success? Contact us to know what mix of PR activities we can formulate to tailor-fit your business.